Hi folks, I’m Ruthie with Arizona Oriental & Specialty Rug Care and I’m always more than happy to provide the occasional rug care tip! Today I have a question for you - have you noticed a loose yarn or two (or maybe more) in your area rug poking up at you? If your rug has a plush pile, then you can snip off this loose yarn without harming the rug. Using a pair of curved nail scissors (without pulling the yarn up further), carefully snip the top of the loose yarn. Super easy, right? But wait! If your area rug has looped face fibers (like a flatweave American Indian rug for instance) and a loop has been snagged and pulled up, YOU SHOULD NEVER CUT IT OFF! 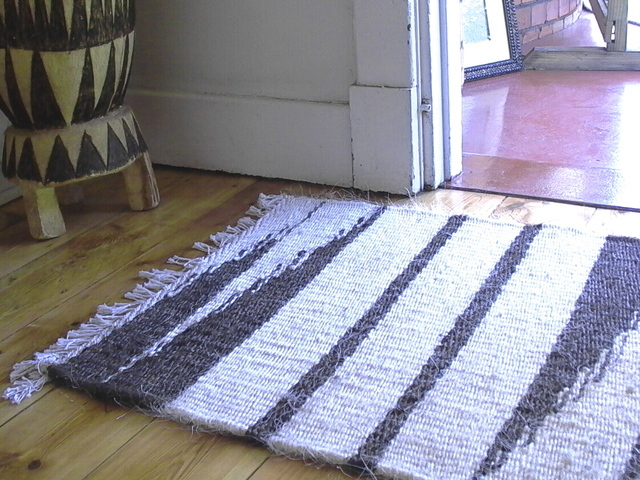 The loops are continuous in these types of rugs and snipping it away will break the continuous thread. This means that the rug will unravel and while yarn pulls might seem unsightly to you now, just imagine what your rug will look like when it’s a big unravelling mess! We at Arizona Oriental are here to help you preserve your beautiful rugs so they last you many years. Not only do we provide professional rug cleaning, we also provide rug repairs! Another quick tip: address repairs as soon as possible to prevent any damage from getting worse over time! This will save you a lot of money if you repair the smaller damages before it gets too extensive. Arizona Oriental & Specialty Rug Care serves Prescott, Prescott Valley, Sedona and much of the Northern Arizona areas. We meet the highest standards in professional cleaning of area rugs with rug wash specialists having earned the highest training which includes certification as WOOLSAFE FIBRE CARE SPECIALISTS through the WOOLSAFE ORGANISATION. Such extraordinary certification ensures the area rugs of our client’s receive the utmost in care.